My family used to own a caravan in Dorset which we visited every summer. It sat on its own in a woodland glade at the back of a mobile home site out in the country. Built in the fifties, it had plenty of character but few modern comforts – you had to haul water in a large barrel, and connect up the two-ring stove to a gas canister outside. It was a peaceful place to stay, even with rain drumming on the tin roof as it often did. The last time I went there was with Ruairi, the year after Michael died. 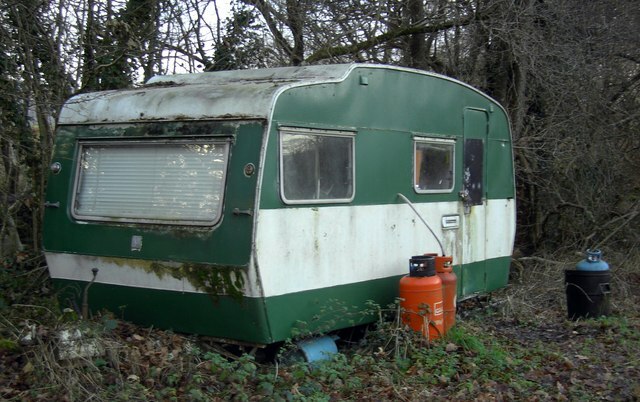 Soon afterwards we were told that the site was being sold, and the caravan must go. After fifty years sitting on its rusty wheels, moving it was out of the question even if we could have found a site to take it, so it had to be demolished. The other day I realised that in my head, our caravan is still there. I didn’t actually witness it being broken up, but I haven’t been there in a decade and I know it’s gone. But in my mind I can see as clear as day the white and green painted exterior, the rickety steps, the tall trees all around. As if it’s all still waiting there for me any time I care to turn up. I think this is what it’s like when someone dies. With your rational mind, you come to accept that they are no longer on this earth. But in your head, they persist as clearly as ever, albeit frozen in time. It does sometimes seem as if they could just walk back into the room and have a conversation with you – although of course if such a thing did happen you’d jump out of your skin. But the fantasy of their continuing presence is very strong. This is why it is nonsense to talk of ‘moving on’ or ‘putting it behind you’ after bereavement. We don’t just live in the here and now – we are composed of all the memories and experiences and, above all, people who have been part of making us who we are. They’re like the many strands of fibre woven into the thickness of a large rope – they cannot be extracted and discarded as they are integral to the whole. Feeling as though a dead loved one is still around isn’t madness; it isn’t even supernatural or spiritual. It’s just being human. Tags: bereavement, memory | Permalink.